Already, Porsche has had an aggressive plan to dive into the electric vehicle market. The Germans could be the first automaker to really hit Tesla hard, but it’s not taking any chances. Porsche drafted a surprising press release this week to announce it’s doubling investments in electrified vehicle production. That means Porsche will be sinking over six billion euro into this plan. After lean and scary times in the 1990s and again at the early part of this century, Porsche has become incredibly focused on profits. It boasts profit margins that are the envy of the industry. That’s why it was so impressive that the company was pouring so much into making the Mission E, plus future electrified models. But, if Porsche is doubling that investment, you really need to pay attention. That probably means the powers that be inside the company see a solid opportunity. Porsche has likely figured out how to actually make money selling electric vehicles, a lesson it could teach Tesla. I wouldn’t be surprised if this has to do with economies of scale, which would explain the additional investment. Just to clarify, this six-billion-euro investment is going into purely electric and plug-in hybrid vehicles. 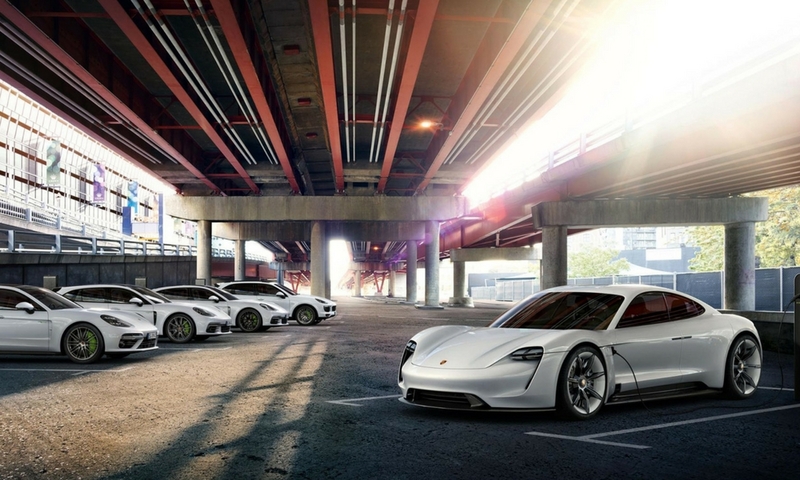 Porsche, like other traditional automakers, see plug-ins as a bridge technology. Porsche has also been showing how impressive hybrid powertrains can be, which is shifting perceptions.